At Solve IMI, we boast an extensive catalogue aimed at renting bilge pumps for those situations in which they are needed in a timely manner. ARE YOU INTERESTED IN RENTING BILGE PUMPS? 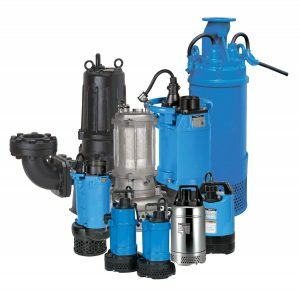 Solve IMI offers different solutions for the rental of bilge pumps, and we have different models according to the voltage you need, that is, alternatives for single-phase and three-phase installations are available. HOW DOES BILGE PUMP RENTAL WORK WITH SOLVE IMI? To select the most suitable pump it is very important to know, amongst other things, the flow and the height at which the water must be driven out. This is because depending on the height to be overcome, the pump provided will be different (the three-phase ones, for example, are capable of tackling heights of up to 200 metres and high flow rates). Depending on where the power supply and the fault are located, the length of the hose to be used will differ. At Solve IMI, we prepare the hose sections you need. Should you not know how to operate a bilge pump… Everything will be fine. At Solve IMI, we offer the possibility of an operator travelling to the place where the emergency has taken place to install the pump and even put it into operation. Once the work is finished, another operator will come to disassemble and collect it. It really is that easy!